Here's Why Airport Shuttle is the Best Transport Option in Cape Town! Most people who live in Cape Town or who have travelled to the Mother City before will agree that finding the right transportation that fits the job can bring up some problems. But, does it really offer problems or have you just not been looking at the correct transport options? Most traditional airport transfer shuttles will make their profits by planning multiple stops and picking up multiple passengers. 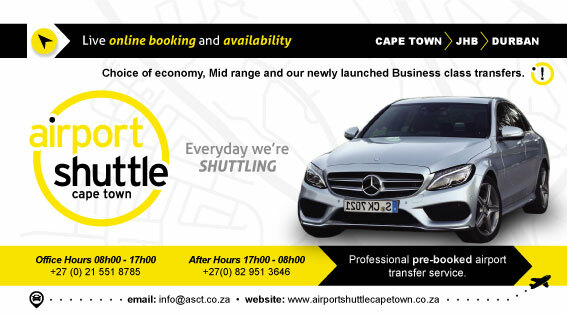 Airport Shuttle in Cape Town offers airport transfer services on a pre-booked and private basis, meaning that Airport Shuttle drivers will NEVER pick up any other customers or drop them off along the way! Using an airport transfer service such as Airport Shuttle means that your trip, whether it is to or from Cape Town International Airport will be safe, comfortable and you will arrive exactly on time. Airport Shuttle operates everyday throughout the entire year, all vehicles are safe, reliable, discreet and unbranded AND the professional, licensed drivers offer a trustworthy ride to your destination. An additional transport option in Cape Town that is both efficient an easy to use and find is the MyCiTi transport network. While the MyCiTi bushes are a cheap way to get around the Mother City, they do not reach all the destinations and cannot take you exactly to the doorstep of your destination the same way an airport transfer vehicle could. The MyCiTi transportation service continues to improve and reach more destinations; however, it does not reach some of the best tourist destinations in and around Cape Town. Uber is another transportation service that is widely popular and used by many people on a regular basis. However using Uber can sometimes feel like you are paying an arm and a leg, plus late pick-ups and drivers who choose to take longer alternative routes are occurrences that you’ll probably experience. Do not waste your time and money on a transport experience that is not up to your standards when you could pay a similar price for a professional airport transfer service. If you choose Airport Shuttle in Cape Town or Durban, you’ll have full usage of our easy-to-use online booking service, where you can book your airport transfer with a professionally licensed driver that will get you where you need to be comfortably and on time. Be aware that using a minibus taxi to transport you in and around the Mother City is at your own risk! Although these taxis are a part of the South African experience, they are a bit of a shock to tourists who are not familiar with how they work and how recklessly they drive. Most minibus taxis will look like they have been through the wars and it’s not a surprise when you look at how they drive. Drivers often make up their own traffic laws, speed in and out of traffic, drive through red traffic lights and at peak hours their vehicles will be full of as many people as possible. Although using a minibus taxi to get around the city of Cape Town isn’t expensive at all, tourists or people who are claustrophobic or nervous should probably opt for another form of transportation. If you’d prefer your ride to your destination not to involve more than 5 near-death experiences then it is best to choose another, safer option. Airport Shuttle in Cape Town and Durban offers reliable airport transfer services that ensure you make it to and from the airport in a comfortable, reliable and completely safe manner! Be Aware of these 3 Airport Scams! Airport Shuttle offers reliable, safe and comfortable airport transfer services in Cape Town, Johannesburg and Durban. Local transportation is one of the most popular ways to get ripped off – book your airport transfer with Airport Shuttle to avoid becoming the next victim. 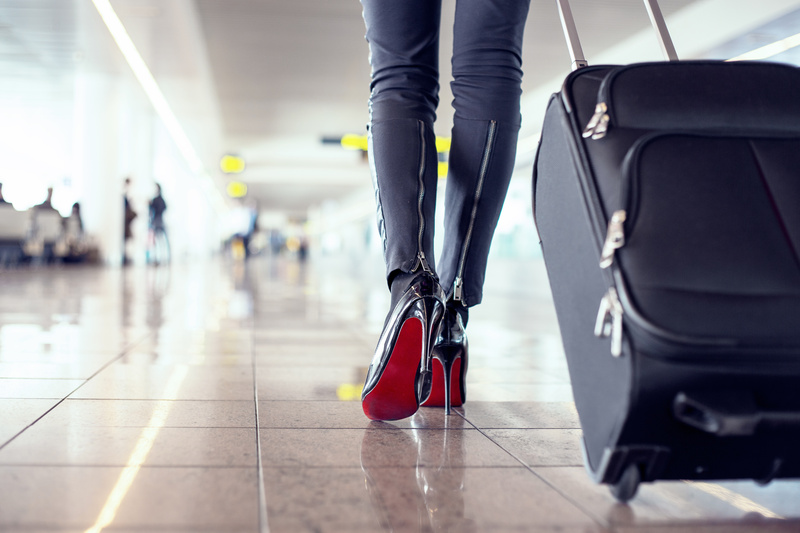 Here are 3 airport scams you need to be aware of! There is always a taxi or airport transfer scam waiting for you at the Airport! Some airport shuttles that wait at the airport for passengers are in fact unlicensed and some will fool you into paying an insane, inflated price that will burn a hole in your pocket. These airport transfer scammers will do anything to take you for granted, even taking you on a longer route to your destination. These scams can happen anywhere, whether you’re in Cape Town, Johannesburg or Durban – do not put yourself at risk of financial loss or in a dangerous situation, book your airport transfer with Airport Shuttle today and you will get to your destination safely and at an affordable price. This scam does not apply to all airports; however it is known to happen at a few of the less popular ones. Employees working at the airport, like the counter attendants who weigh your luggage, will fail to reset the scale before you put your luggage on and you’ll end up being over-charged for overweight luggage. Cyber criminals are always looking for easy ways to scam unknowing victims, and this is especially easy at the airport where internet users are always looking for a free Wi-Fi connection. Often hackers will set up a FREE Wi-Fi hotspot and once you connect to it, your private data and information will be stolen! Always be sure to switch off any automatic connections and do not connect to any hotspots that aren’t 100% safe and secure. Although many airport shuttle companies look both professional and reliable, many of them do not offer all the incredible services that Airport Shuttle in Cape Town does, in fact you may end up getting ripped off! Here are 15 reasons why you should book your shuttle today with Airport Shuttle in Cape Town. 1. At Airport Shuttle in Cape Town, Johannesburg and Durban, we operate 24/7, 365 days of the year. 2. Each one of our shuttle vehicles is tailor-made to suit individuals and the business traveller’s particular needs. 3. All our drivers are professional, fully licensed and trustworthy. 4. We can pick you up from any destination and drop you off at Cape Town, Johannesburg or Durban International Airport. 5. We are the preferred shuttle service of a wide range of hotels, guest houses, corporate businesses and travel agencies in South Africa. 6. Our fleet of airport shuttle vehicles are sleek, safe, reliable, unbranded as well as discreet. 7. At Airport Shuttle in Cape Town, Johannesburg and Durban, we are well known for accommodating not only passengers and special requests, but also large groups and day tours. 8. All our airport shuttles are booked on a private basis, meaning that we will not pick up other passengers and drop them off along the way. 9. Our airport shuttle vehicles are checked on a regular basis for safety and mechanical updates. 10. We also carry comprehensive passenger liability insurance to ensure our customers are always safe on the road! 11. Book and pay for your airport shuttle in Cape Town, Johannesburg or Durban with our simple, convenient online booking system. 12. Airport Shuttle is here to make you happy, that is why we will accommodate for your special requests as well as last minute bookings. 13. The airport is stressful enough as it is, book your airport shuttle and let us drive you to your destination while you sit back and relax. 14. We offer point-to-point transfers in and around the Cape Town, Johannesburg and Durban areas. 15. When you book your Airport Shuttle, you can always look forward to safe, friendly service and a driver who always has a smile on their face!